Welcome friends! In less than an hour, Apple's going to take the wrapping off of the all-new, Jony Ive-powered iOS 7, and we'll be covering it all live, right here. 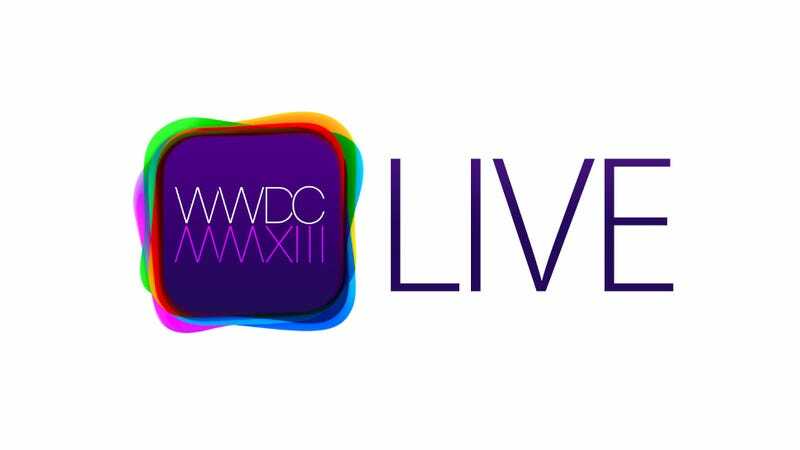 What else are we expecting out of WWDC 2013? New MacBooks, OS X improvements, better iCloud, and maybe even a surprise or two. The keynote kicks off at 1PM EDT/10AM PDT, but we're firing up the ol' liveblog machine plenty right now. In the meantime, check out our predictions for WWDC 2013 here, and our hopes for a flattened iOS 7 here. Otherwise, check out the updates below, and share your thoughts as we go!